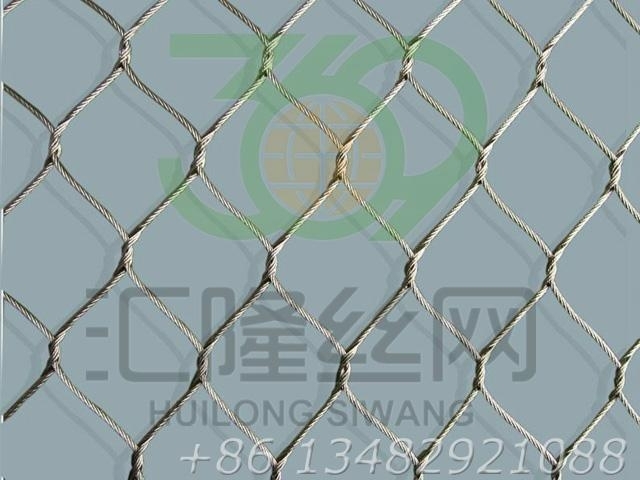 TWISTMESH is hand-woven from high strength corrosion resistant SS316 marine grade stainless steel wire rope. TWISTMESH offers a cost-competitive, low maintenance alternative to corrosion prone chicken wire or non-metal mesh. TWISTMESH is well suited for light, transparent structures under extremely high loads in harsh environments and unlike plastic coated mesh will not deteriorate under UV light. Its flexibility, strength and durability makes TWISTMESH ideal for vertical gardens and architectural applications in coastal areas. It has been widely used to create a natural environment for animal enclosures, animal cage and aviaries. TWISTMESH provides a secure and easy to install alternative to balustrades for bridges, marinas and multi-storey carparks and large barrier fences. TWISTMESH can be installed using traditional stainless steel tubes or stainless cables tensioned with swaged stainless fittings. TWISTMESH is manufactured from marine grade SS316 stainless wire rope in widths and lengths to suit your application. The standard mesh angle is 90°. Mesh sizes range from 20mm x 20mm to 120mm x 120mm with stainless cable diameters from 1.2mm to 3.2mm.